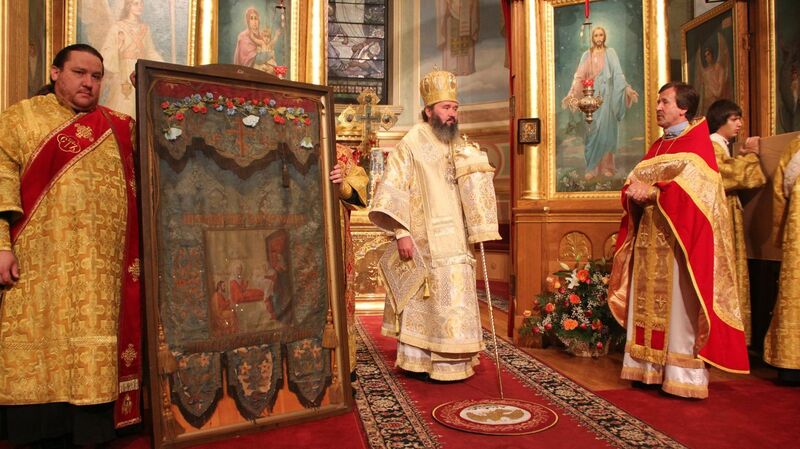 On Friday, September 21, the feast of the Nativity of the Theotokos, the patronal feastday of the lesser altar in St. Nicholas Cathedral in New York City, Divine Liturgy was celebrated by the Chancellor of the Patriarchal Parishes in the USA, Archpriest Igor Tarasov. 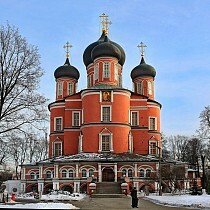 The early Divine Liturgy in english was celebrated by cathedral cleric, Priest Dimitri Schieffler. During the liturgy, prayers were raised for the departed members of the Brotherhood of the Nativity of the Theotokos, builiders and benefactors of St. Nicholas Cathedral and the newly-departed Archpriest Vincent Saverino. The Nativity of the Theotokos Brotherhood was established with the blessing of Bishop Nikolai of Alaska and the Aleuts, who at the time administered the parishes of the Russian Orthodox Church in North America from 1891 to 1898. 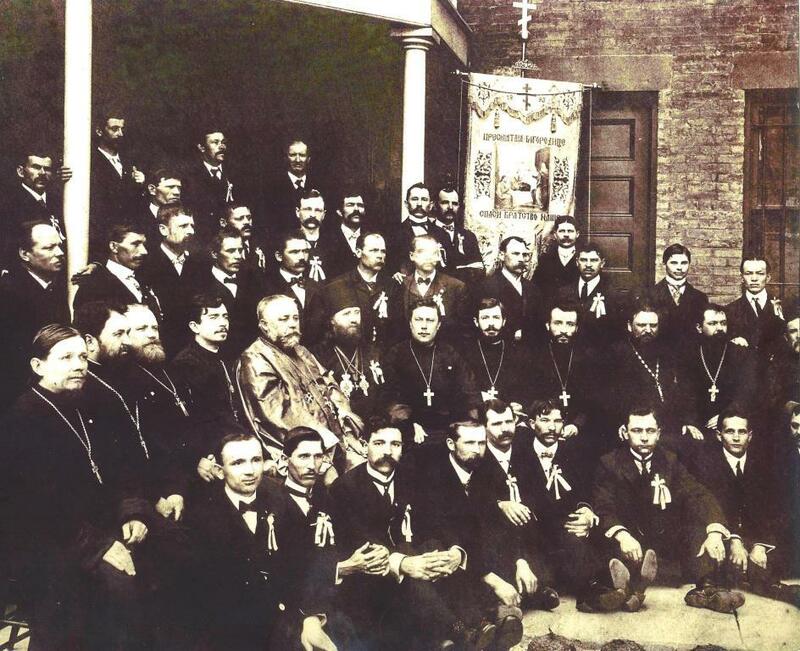 The primary objective of believers, united in into a brotherhoods was to build an Orthodox church capable of accommodating all the Orthodox Christians living in the area of New York City. From 1870, services were held in the house-church of the consulate of the Russian Empire in New York but by end of the century there was little room. With the help of St. Tikhon, future Patriarch of all Rus’, the brotherhood and St. Alexander Hotovitsky, the foundation stone of St. Nicholas Cathedral was laid in 1901. In 1902, the south altar was consecrated in honor of the Nativity of the Theotokos and in 1903, St. Tikhon preformed the Great Consecration of the temple. Simultaneously, a sisterhood in honor of the Annunciation of the Mother of God was established. After completing their initial mission, the brotherhood continued to support the cathedral by attracting new parishioners and beautifying the interior. The events that occurred in the homeland also sadly affected the life of the parish, the brotherhood and sisterhood. Even with the apparent dissolution of the parish organizations, the pious parishioners of St. Nicholas Cathedral desired to remain faithful to the persecuted in the homeland and left by many abroad to the “Patriarchal” church, as it was referred to at the time. These parishioners in spite of this, did what they could to ensure that St. Nicholas Cathedral remained a welcoming House of God, where the faithful children of the multi-national Russian Orthodox Church could gather and pray. In the archives of the cathedral, there is kept a photograph of the members of the brotherhood as well as those who have been glorified in the Church – pastors, missionaries and builders in America: St. Tikhon (Belavin), Patriarch of Moscow and all Rus’, Priest-Martyrs Alexander Hotovitsky and John Kochurov and righteous Alexis Toth.